The Beatles 50 Years Ago Today: August 11, 1967. Beatles Radio: The Beatles, Solos, Covers, Birthdays, News The Fab 4 and More! The Beatles were photographed by Richard Avedon on this day. The shoot took place at a photographic studio in a penthouse in Thompson House, 200 Gray's Inn Road, London. The American photographer took a number of shots of the group, four of which were later adorned with psychedelic effects. They were first published in the 9 January 1968 edition of the US magazine Look, and were subsequently sold as posters. In the UK they first appears in the Daily Express newspaper, in February 1968. 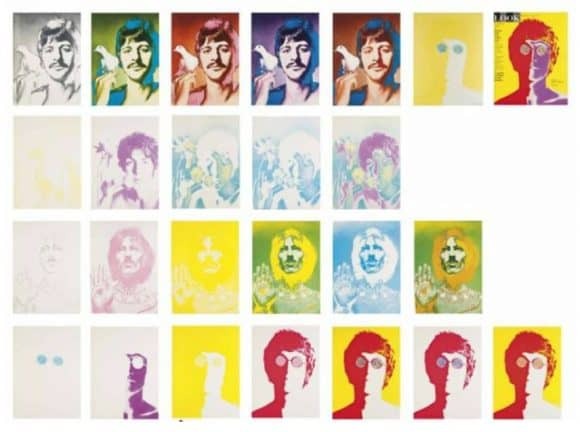 Readers were given the chance to buy enlargements of the set, along with a special Beatles poster.